If you’re new to the casino experience, you’ll need to learn the unwritten rules that casino goers adhere to in order to make their own experience - as well as everyone else's -truly enjoyable. The rules cover everything from gaining entry into casinos and the acceptable behavior on the floor of a casino, to the gaming, joining games, and tipping. If you’re keen on discovering how you need to behave in a casino, look no further. Below is a detailed guide to gambling casino etiquette that tells you everything you need to know - whether you plan to go to the casino room next door or to one of the best casinos in the world. First and foremost, it’s important to note that casinos are open to adults only i.e. individuals aged 18 years and above (sometimes 21 years and above) so you shouldn't attempt to get into a casino with a child especially if you want to gamble. Also, before entering, you should park your car in designated parking zones or use valet parking service to avoid inconveniencing other casino-goers. You should expect to be frisked before entry. 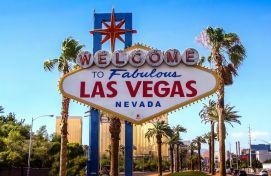 You are expected to cooperate fully when this is being done given the fact that casinos are high-risk establishments that need to have tight security. It’s also important to note that most casinos don’t allow people to enter and use most electronic gadgets within the casino. It is, therefore, advisable to leave such gadgets behind and carry the most necessary ones i.e. your cell phone although you shouldn’t try to use it in a casino when gaming or gambling otherwise you’ll arouse suspicion and risk being kicked out. Also, if a casino has a dress code, it is good etiquette to observe that dress code to be able to gain smooth entry. Most casinos allow smoking so don’t be shocked when you see people smoking cigars or cigarettes freely. There are however designated non-smoking zones you can visit if you don’t smoke or mind smoke. Nevertheless, it is good etiquette to avoid blowing smoke if you are a smoker even when smoking in designated smoking zones. In regards to the actual gaming experience, you are expected to give fellow players the opportunity to enjoy gaming without disturbing or distracting them in any way. Drunk and disorderly behavior i.e. shouting and getting into physical altercations is strictly forbidden. When handling cards or chips, you need to do so in the full glare of cameras. It is also important to avoid counting cash openly. You should handle your chips with caution as well. When gambling, you shouldn’t touch your chips after making a bet when the game is in progress. When joining games, you are required to look at placards highlighting the required minimums as well as maximums to join instead of asking what the minimums and maximums are which causes distractions. In regards to giving signals, you should give both a verbal and a clear hand signal when playing games like blackjack to avoid disputes. It is also good etiquette to familiarize yourself with the rules of a certain casino game before you actually go to a casino to play to avoid asking dealers factual questions and disrupting/slowing down the game. It is also good etiquette to avoid giving unsolicited advice since this spoils the fun for everyone. Also, you shouldn’t criticize another player’s table play/s. You are expected to display tolerance at all times at the table and give your fellow players the liberty to play as they like provided rules are followed. You can always raise disputes that affect you directly or indirectly. However, that should be done respectfully through the dealer or relevant dispute channels depending on the game you are playing. In regards to tipping, most casinos allow it on an open policy i.e. it should be done in the full glare of cameras especially when tipping dealers. Tips should be placed on the table and not handed to dealers directly. You can tip a dealer whatever amount you want however, it is good etiquette to tip 1 to 5% of your total winnings. Waitresses among other casino staff i.e. valet parking staff can be tipped $1 to $5 dollar tips or more. Unlike dealers, they can handle tips directly. In a nutshell, the information above lets you know everything you need to know about how you are supposed to conduct yourself in a casino. Casinos can be very confusing for first-time visitors. However, after going through the information in this article, you shouldn’t have a problem in knowing the right casino etiquette to apply from the time you enter a casino to the time you leave.